Earlier this year a new album, credited to Bänz Oester & The Rainmakers, was unleashed upon the world without much fanfare. For the past few months those in the know have been enjoying this magnificent recording featuring some great talents from Switzerland and South Africa. 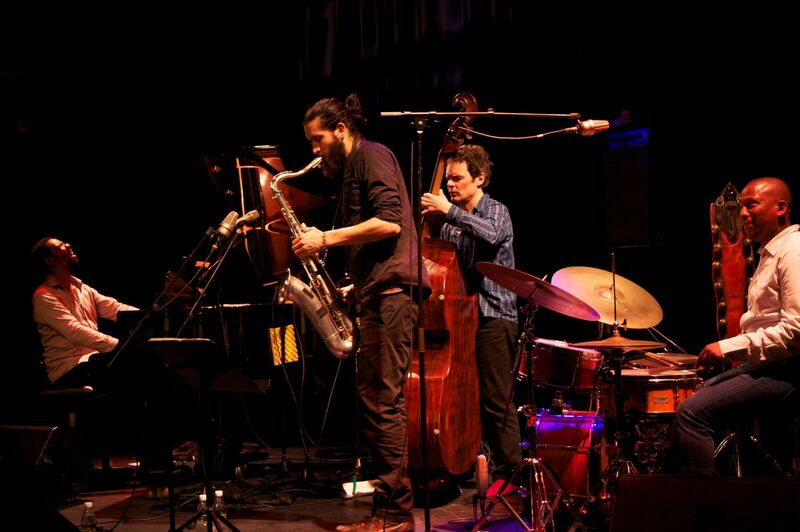 Titled Playing at the Bird’s Eye (Unit Records), it was the result of a four-night run at the Bird’s Eye Jazz Club in Basel, Switzerland, in June 2013 that saw the coming together of Swiss bassist Bänz Oester and saxophonist Ganesh Geymeier, and South African pianist Afrika Mkhize and drummer Ayanda Sikade. Featuring six compositions – two pieces from Oester, two from Mkhize and two traditional pieces arranged by Oester – Playing at the Bird’s Eyeis a real treat for jazz fans. Oester led the band for those four nights. He’s a veteran of Swiss jazz – going back to the early 80s – and has recorded with notable artists such as Swiss pianist Malcolm Braff, Swiss vocalist Andreas Schaerer and, closer to home, South African trumpeter Marcus Wyatt. Joining Oester for the run was Geymeier, a member of the collective group Holunderblüten. Geymeier has also performed regularly with numerous Swiss and French musicians, including Braff, Matthieu Michel and Marc Méan. Then we get to the two South Africans: Mkhize and Sikade. Mkhize is the son of legendary pianist and producer Themba Mkhize and has shared stages with local jazz cats like Feya Faku, Bheki Mseleku, Mthunzi Mvubu, Kesivan Naidoo and Carlo Mombelli. He was the musical director and pianist for the late Miriam Makeba, producing a number of albums for the great singer. Sikade at one point was a member of legendary saxophonist Zim Ngqawana’s band, and has shared the stage with Feya Faku, Bheki Mseleku, Robbie Jansen, Barney Rachabane, Simphiwe Dana and many others. So, as you can see, these Rainmakers are no slouches. The opening composition, The Rainmkers, was written by Mkhize and begins with a piano vamp before exploding into life with some warm, joyful saxophone from Geymeier, and is driven along by some urgent rhythm from Oester and Sikade. Mkhize and Geymeier are the stars here, even though the band clearly has some unbelievable chemistry, showing that it is greater than the sum of its parts. The Rainmakers is a clear album highlight, so much so that the composition was the inspiration for this new band’s name. And what a band it is. The Con caught up with Oester, before he landed in South Africa, to get the lowdown on his southern Africa tour and his new band The Rainmakers. How did this band come about? Where did you meet? I was in Grahamstown in 2011 with Swiss singer Andreas Schaerer. There I met Afrika Mkhize and Ayanda Sikade at one of the late-night jams. I had met Sikade before; we had jammed together a couple years before while he was visiting Switzerland. Ganesh and I met a few years ago in Lausanne. The first time we played together was in June 2012; we did a two-week Swiss tour. The first rehearsal went on for five hours, and it was more intense than many gigs I have played. They are all great musicians – authentic, enthusiastic, and full of love, energy and poetry. Actually, the idea for Afrika’s composition comes from the fact that Afrika’s family name means “The Rainmaker”. One of his ancestors immigrated to South Africa and brought the rain with him. We all immediately agreed to take this as our band name. The poem from Darko I found later on, when I was looking for something to put on the CD. We were all touched by the depth of this poem and agreed to put it on. South African jazz fans have been eagerly awaiting Mkhize’s debut album as a band leader, and so to get two of his compositions on this album is a treat. Can you tell us about your impression of Mkhize as a composer and a pianist? I love him for both. He has integrated jazz and folk music of the whole African continent into his music. I relate to both worlds intensely, although my knowledge of African music is modest, of course. Afrika is a very intelligent and educated person, and his music is always very sensual, emotional, and has spiritual depth. How did the idea for the album come about? Or was it more: ‘This live recording is very good, we should release it’? The Bird’s Eye Jazz Club allows for very easy recordings, and because we were playing there for four nights, I decided to record them all and see what happened. We were all content with what was on the tapes, and we decided to publish it. 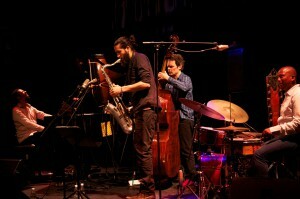 It is one of the very few Swiss jazz clubs that has an almost daily programme of high-quality jazz. It was founded and is run by fellow bass player Stephan Kurmann together with a very competent and passionate team of people. The club can offer very fair conditions to the musicians, and everything is about the music and the musicians; it is a great place. There is a special affinity with South Africa, with lots of musicians coming there for residences for several years now. The club just celebrated its 20 years of existence. You have collaborated with Malcolm Braff in the past. He played at the National Arts Festival in Grahamstown in 2013 and impressed the hell out of local jazz audiences and musicians. I remember speaking to Kesivan Naidoo and Shane Cooper about Braff after they performed in a trio with him last year and they said something along the lines of, “one day, 20 years from now, we will say Swiss pianist Malcolm Braff changed the course of jazz music”. Any thoughts on this? Yes, he is an outstanding person and musician. I have played with him for the past 20 years and he was a big influence and inspiration for me, not only as a musician but also as a person. Regarding changing the course of jazz music, that might well be. He is not only an incredible performer, but has a very individual cosmos of music, especially a very advanced rhythm concept that I have never heard from anybody else. Is this tour the first time the band will perform together on South African soil? Yes, and it means a lot, I think not only to me! We also hope we will be able to visit India, the second home of Ganesh, his mom being Indian. What can audiences expect from the shows in South Africa? It’s going to rain, hopefully. ← Who Won the Platinum Strike?